The fourth grade room has been exploding with technology. As a 1:1 iPad elementary, we have the capability to do a lot of Project Based Learning. Using the iPads, the students are individually learning the content of the subject. Recently in Nebraska Studies, we used a website called Thinglink to create projects. The students had to look up information on a topic and link it all together. 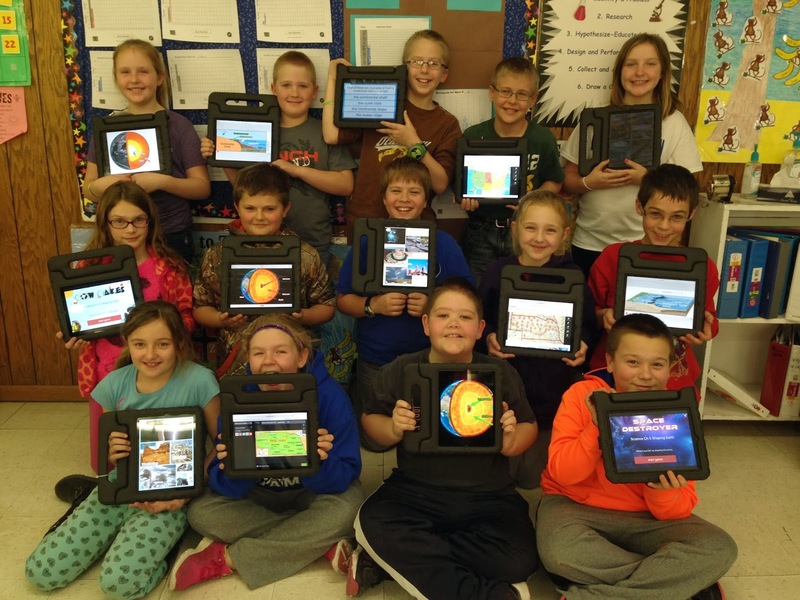 In Science, they used an app called Skitch to label the layers of Earth’s core. They also used an app called Pic Collage to collect pictures of weathering, erosion, hurricanes, tornados, floods. They also use the app Zondle to study for tests in Science and Social Studies. I love that they are exploring on their own and learning in their own way.